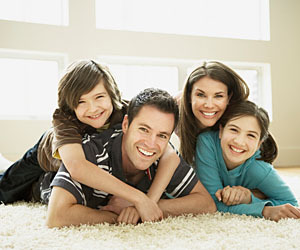 Family medical insurance is a policy that helps cover the cost of medical treatment. It may be used to cover treatment for illnesses, therapy, preventive care, prescription medicines etc. The coverage received depends on the specific policy. There are many types of family insurance plans and costs vary for each type. The average annual premiums for general health insurance family policies were $12,680 in 2008, with monthly annual averaging at $1,057. This figure takes into account all types of health insurance or family life insurance, including health maintenance organization (Hmo), preferred provider organization (Ppo), point of service (Pos) and high deductible health plans with a savings options (Hdhp / So). The average annual cost of family Hmo coverage was $13,122 in 2008, or $1,093 per month,. In an Hmo, a family is usually assigned to a specific doctor or medical provider who is an employee of the Hmo. If a family member uses a different “out of network” provider, the insurance policy will not pay for the visit or any treatment offered. Coverage is paid for in advance with co payments made by the insured for actual doctor’s visits. The insurance companies reported the average family premium for a Ppo was $13,937 per year in 2008, or $1,078 per month. With a Ppo, families can choose from a variety of healthcare providers to serve their healthcare needs. Unlike in Hmos, these networked providers are not employees of the insurance company. Depending on circumstances and coverage, treatment from an out of network doctor or facility may be at least partially covered as well. The average family point of service (Pos) plan cost $12,330 per year in 2008, or $1,028 per month. A point of service (Pos) policy combines Hmo and Ppo services. A family designates a physician as its primary healthcare provider. That provider may refer a family member to an out of network provider if necessary, and those costs would be at least partially covered by the Pos plan. Without such a referral, the family would have to pay the entire cost of the out of network care. Pos care is intended for employees of companies in different cities so that a wide range of doctors in various locations are made available to them. High deductible health plans with a savings option (Hdhp / So) had an average annual family premium of $10,121 in 2008, or a monthly average premium of $843. In an Hdhp, a family must pay a minimum annual deductible before the insurance coverage takes effect. For example, a family is expected to pay for the first $2,000 in healthcare expenses, and then the insurance pays expenses beyond that. There is usually a maximum out of pocket limit the family can pay as well (for example, they would not have to pay more than $10,000 out of pocket per year). These deductibles and limits are usually adjusted according to the change in cost of living each year. The actual medical care can be provided by an Hmo, a Ppo or a Pos provider, depending on the specific plan. Hdhp family health insurance plans usually include a savings option, which may be a health savings account (Hsa) or health reimbursement arrangement (Hra), designed to help families save for future medical expenses. For example, a family could designate $10,000 of its pre tax earnings to be placed in a health savings account to meet that year’s medical expenses. As those expenses come about, the funds would be withdrawn from the account. Employees who are laid off or experience other qualifying events (e.g., loss of spouse, reduction of hours to part time) may generally continue their insurance coverage for up to 18 months via the Consolidated omnibus budget reconciliation act (Cobra) of 1985. However, employers can charge up to 102 percent of the cost of continuing those premiums. The average monthly Cobra premiums for family coverage in 2008 were $1,069, ranging from $885 in Hawaii and $915 in Nevada to $1,191 in New Hampshire. Healthcare costs have risen dramatically since the end of the 20th century. According to Time magazine, family medical insurance plans have risen 131 percent since 1999. Many families are unable to afford health insurance coverage, so they allow their policies to lapse and hope that no medical emergency occurs. Such policy lapses are especially common during periods of economic hardship : As companies close or layoff employees, they may also significantly change their healthcare benefits, passing more of the costs onto those employees that remain.